A stylish must have for anyone these black & white hi-top cotton canvas trainers from Ethletic are made with Fairtrade certified and organic cotton. The rubber soles also carry the FSC logo of the Forest Stewardship Council so that almost every material part of the trainers is fair trade and ecologically certified. Fashionably high cut these Fairtrade shoes are vegan, vegetarian and have a built in arch for comfort. 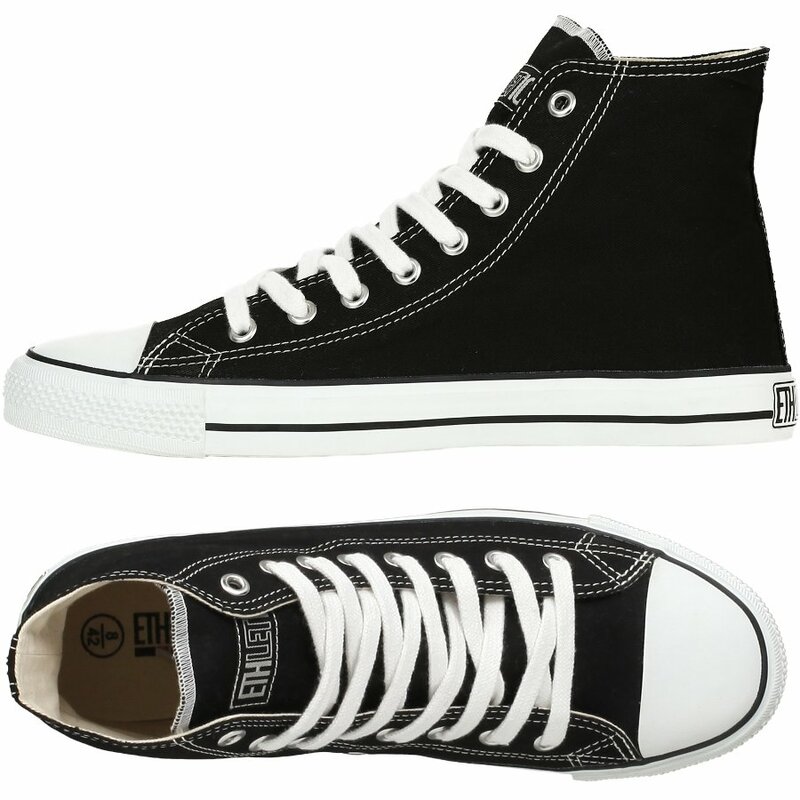 The Ethletic Fairtrade Hi Top Trainers - Black & White product ethics are indicated below. To learn more about these product ethics and to see related products, follow the links below. 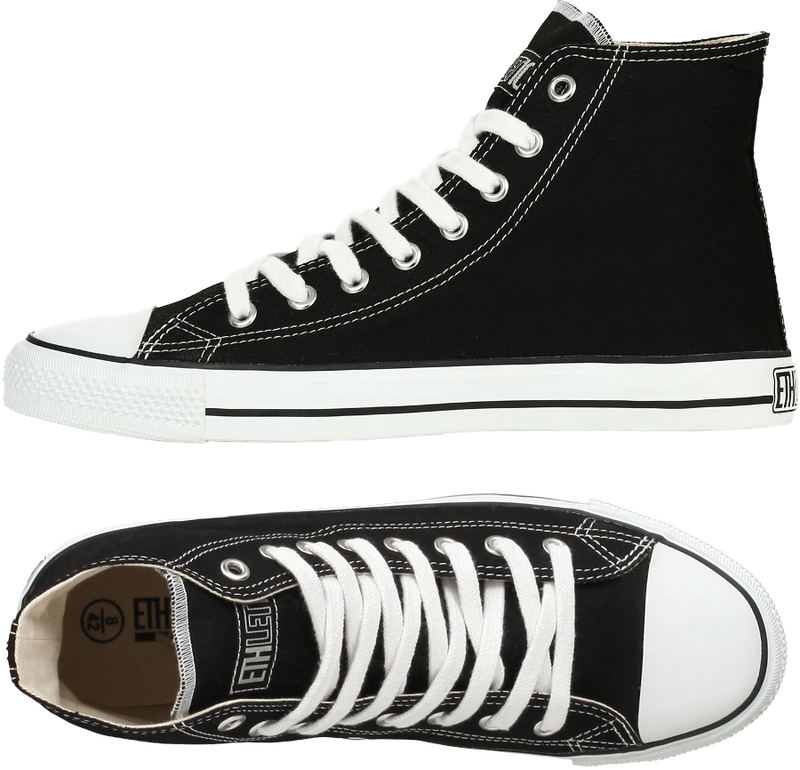 There are currently no questions to display about Ethletic Fairtrade Hi Top Trainers - Black & White.